Cheddar Buds® natural cheese flavored sauce mix delivers “just add water” convenience to your foodservice menu. This sauce is made with real Wisconsin cheese and is low in fat, calories and cholesterol. Instructions: Simply mix 2 lb. 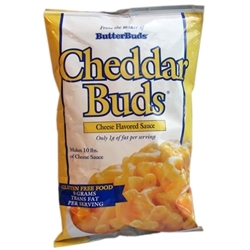 bag of Cheddar Buds® with 4 quarts of hot tap water and stir until smooth. 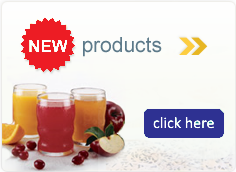 Ingredients: Modified Food Starch, Maltodextrin, Natural Cheddar Cheese Flavor (cheddar and swiss cheese, whey, buttermilk solids, butter, sweet whey, sodium phosphate, lactic acid), Sweet Whey, Vegetable Oil Shortening (canola), Salt, Non Fat Dried Milk, Lactic Acid, Yeast Extract, Annatto and Turmeric (for color). Contains Milk.